Start the new school year with MoonRock Bag, the world’s first schoolbag brand endorsed by the American Chiropractic Association (ACA) as it lands in Singapore this December 2017. Founded in 2016, the colourful and too-cool-for-school brand is designed by a group of sophisticated Hong Kong-based bag experts and professional chiropractors. Armed with a strong conviction in the power of endless exploration, creativity and freedom to open doors to new dreams, MoonRock is taking on the role of a child’s best companion to help them say bye bye to the pains of heavy schoolbags and get started on life’s little adventures. 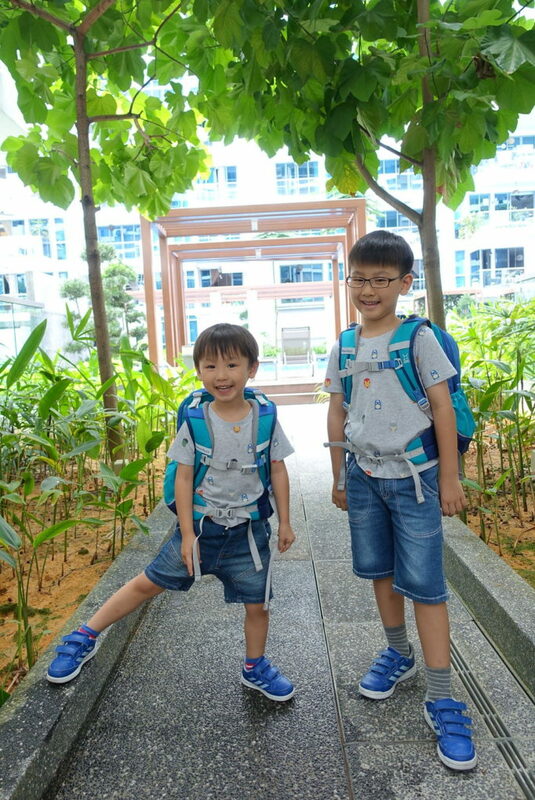 Both Kaiser and Rayes were very excited when they got one MoonRock bag each to go to school. In addition to its compact, lightweight and durable design using quality PVC-free materials, MoonRock has incorporated patented design features including the 5-Point Support and the O-Ring Multi-Angle Strap. 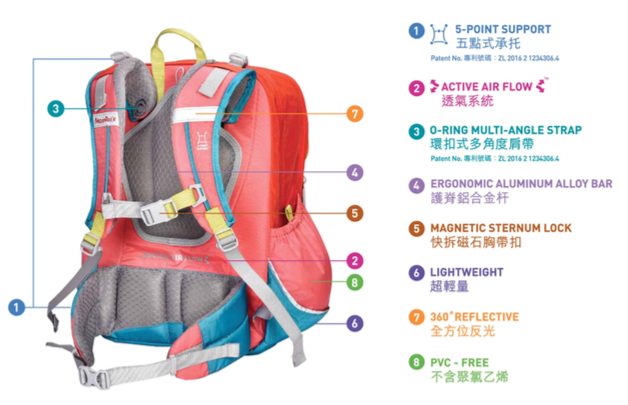 The innovation of the support system provides comprehensive protection of the vertebra, and the absence of obstruction to body growth through even weight distribution to the shoulder straps, sternum strap and hip belt. The O-ring straps are designed to adapt to all types of shoulder width for maximum comfort of an active, fast growing child. See how happy the boys are carrying their new bags! Other key features of MoonRock schoolbags include the Magnetic Sternum Lock to help keep the shoulder straps in place, a smart, breathable hollow-chamber foam that promotes Active Air Flow for optimum back ventilation, a spinal-shaped Ergonomic Aluminum Alloy Bar fitted inside the school bag to provide support and durability to its back structure as well as a 360° reflective surface to ensure the user’s visibility in low light environment. 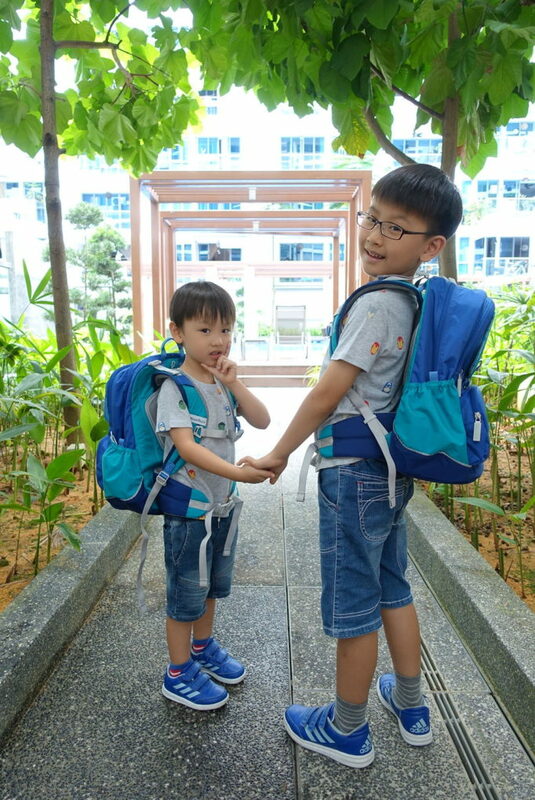 MoonRock is introducing its signature range of schoolbags to provide the most comfortable and secure bear hug for the child – the MR1 (SGD139) for children ages 9-12 and the MR3 (SGD 139) for children ages 6 to 9. Each MoonRock bag series comprises of six different colour options for the little ones to choose from, so that they can showcase their style and personality with the chic and comfortable schoolbag, and moonwalk the way to their dreams. From now to 31 Jan 2018, enjoy 10% off purchases on Moon Rock Singapore’s official site with promo code MR2017BTS. MoonRock is available on www.moonrocksg.com.